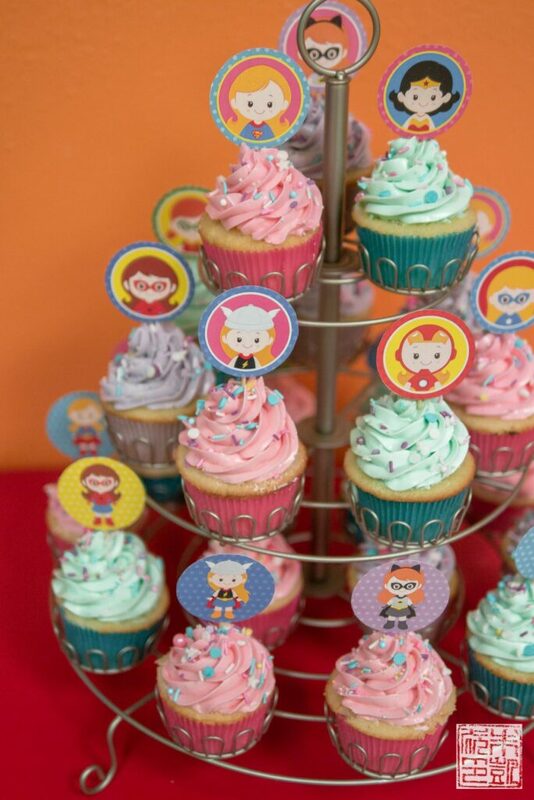 Superhero girl cupcakes for my superhero girl’s 5th birthday. Although Isabelle’s birthday was in January, we were still on vacation in Hong Kong we didn’t throw a birthday party for her until after we got back. Last year I speculated as to whether she would pick the same theme for her 5th birthday party. 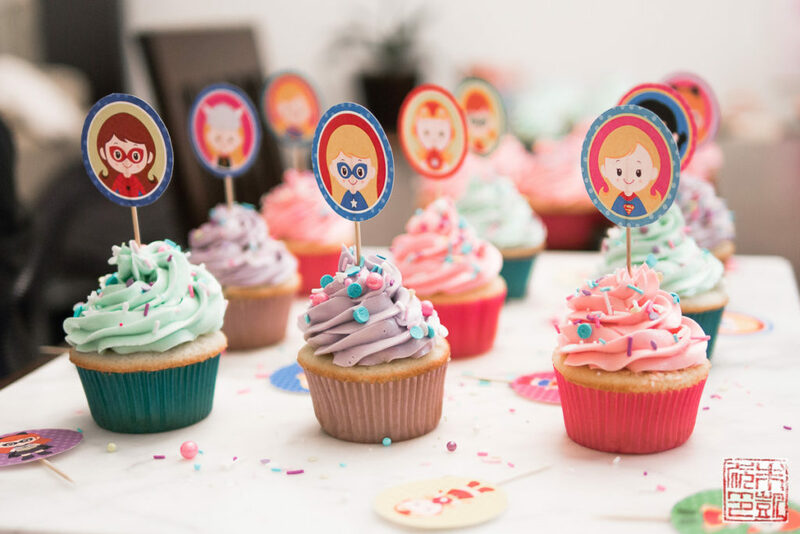 Pusheen actually stayed in the running for a good long time, but Isabelle changed her mind about ten times in the last two months before her birthday, and finally settled on superhero girls! Isabelle’s annual birthday photos; she’s very nearly too big for the little chair she’s been sitting on since she was a baby – we’ll have to see if it will fit next year! 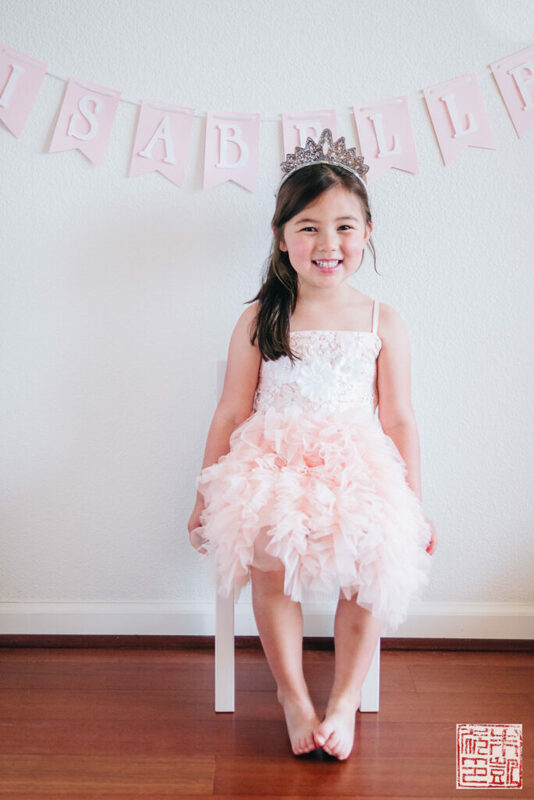 This was the first year she got to pick out her own birthday dress and she was super thrilled. Her favorite color has not wavered yet! I can’t believe five years passed by so fast and she’ll be starting kindergarten in the fall. Which, by the way, she can’t wait for. 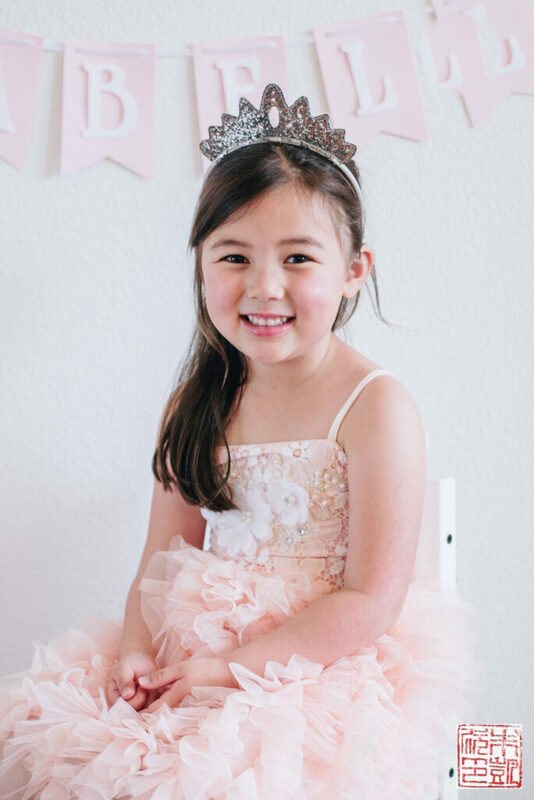 Every other day she asks, “When can I go to kindergarten?” She’s definitely athletically inclined and loves swimming and gymnastics, and is slightly less enthusiastic about reading, which makes this bookworm mommy a little sad. I’m working on turning her around to books. Her favorite thing to do at school is hang out with her friends; I was told by her preschool teachers that she has a very full social life (already!) Seeing your child running joyfully with their friends around the playground, or clustered close with them in a corner sharing secrets, are some of the happiest memories I’ll take from her preschool. Among the let’s pretend games that Isabelle like to play with her classmates, apparently superheroes is super popular. Her favorites are Super Girl and Wonder Woman, and I think she would wear the superhero dresses I got her every day if she could. She made a request for birthday cupcakes over birthday cake again, so here’s her 5th birthday cupcake tower in pink, blue, and purple. Sprinkle mix from Fancy Sprinkles. 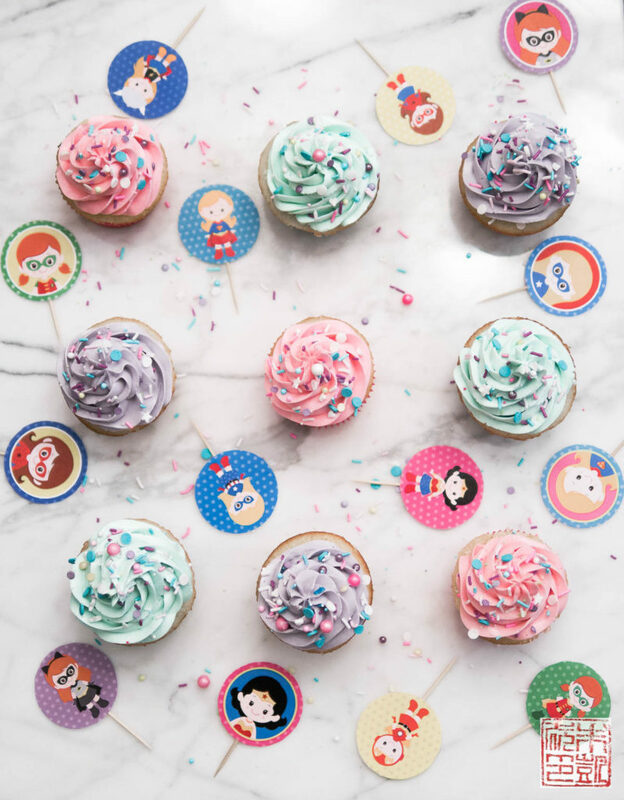 I found the cupcake toppers from a shop on Etsy that creates the cutest renditions of princesses, superheroes, and other storybook characters. 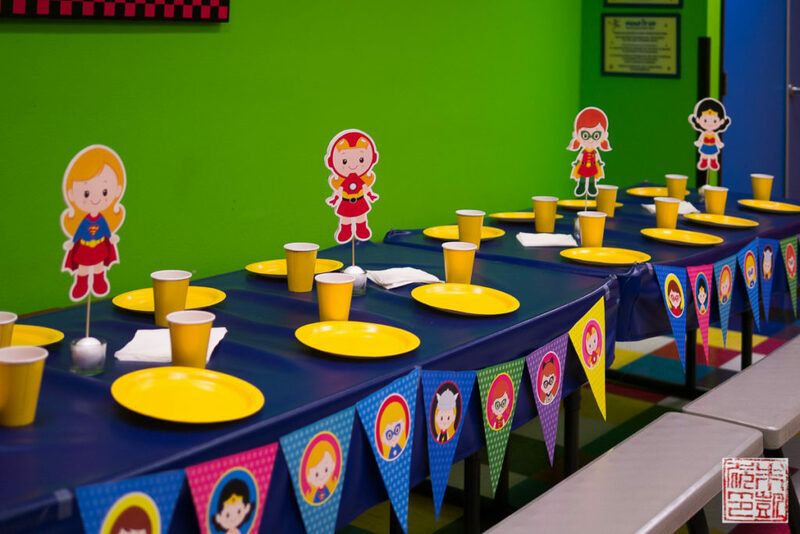 Yes, I’m the mom who makes it harder on herself and spends way too much time searching the internet for the perfect party decorations instead of just driving down the street to the party supply store. But Isabelle assured me that these were the “best decorations ever!” She was also finally old enough to help cut out and assemble the decorations, so I’m pretty proud of her! 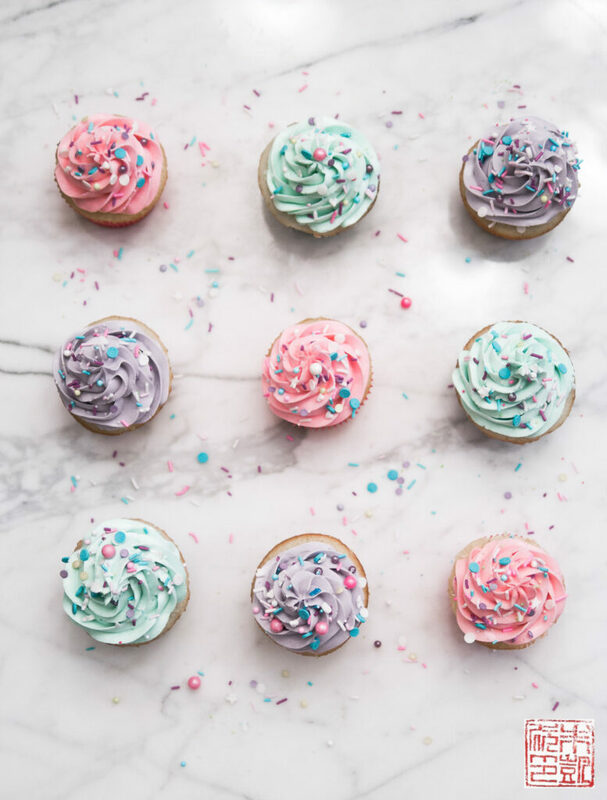 Vanilla cupcakes with swiss meringue buttercream, a perennial kids’ favorite. I’ve tweaked the recipe slightly over the last few years of making them, so the updated recipe is below. Feel free to modify with other flavorings (I love almond), or add coloring to the cupcake batter if you’re feeling creative. The designs also include some uber darling table decorations that the kids wanted to take home. 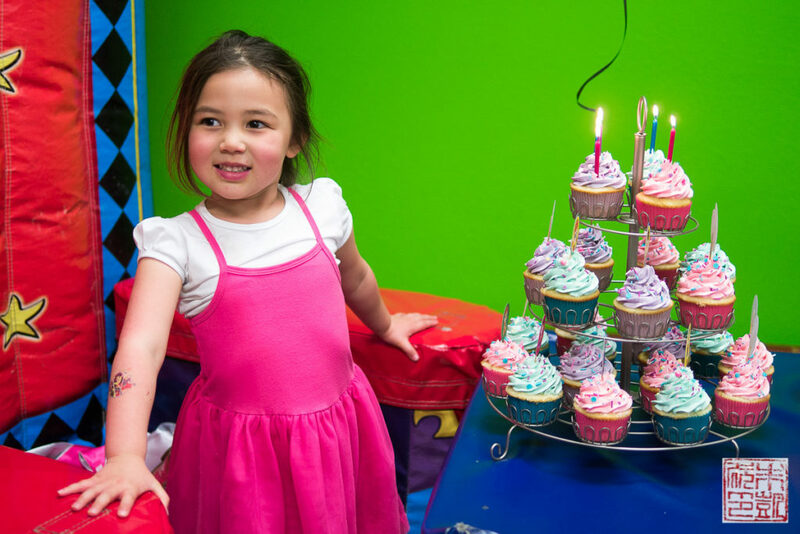 Thanks to all the family and friends that helped make Isabelle’s fifth birthday party a success. I have to admit I’m looking forward to seeing what she’ll be into when her sixth birthday comes around- she’s been pretty ace at choosing her party themes so far. I have a feeling too that by next year she might be able to do more than lend just a helping hand with making her birthday desserts. They grow up so fast! Add in eggs one at a time, beating thoroughly after each addition to combine before adding the next. Add in the vanilla extract and beat to combine. Add food coloring as desired. 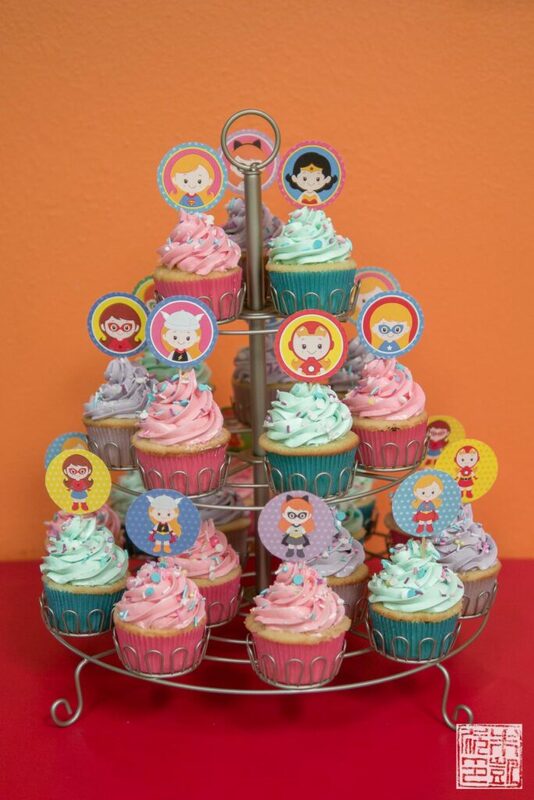 These cupcakes are adorable and so beautiful! Thanks so much for the kind words Natalie!